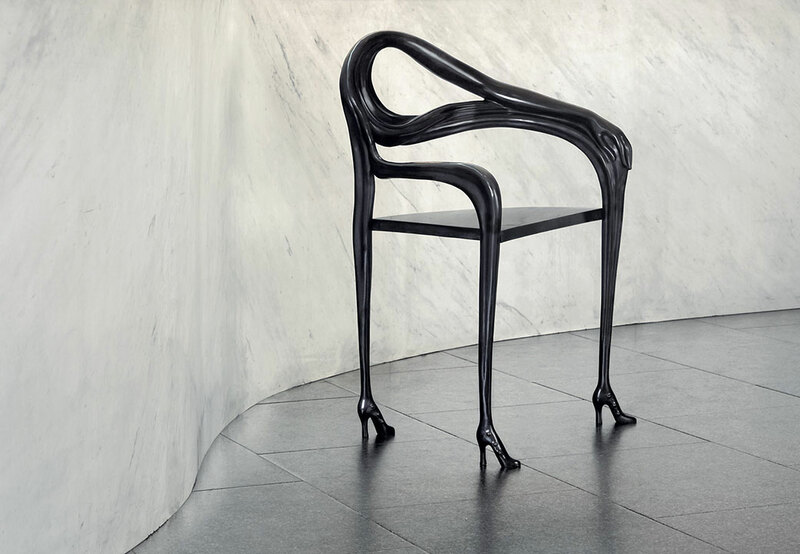 Poised and stylish, the Leda chair faultlessly replicates Dali’s surrealist imaginings in his 1935 painting, “Femme à la Tête Rose”. 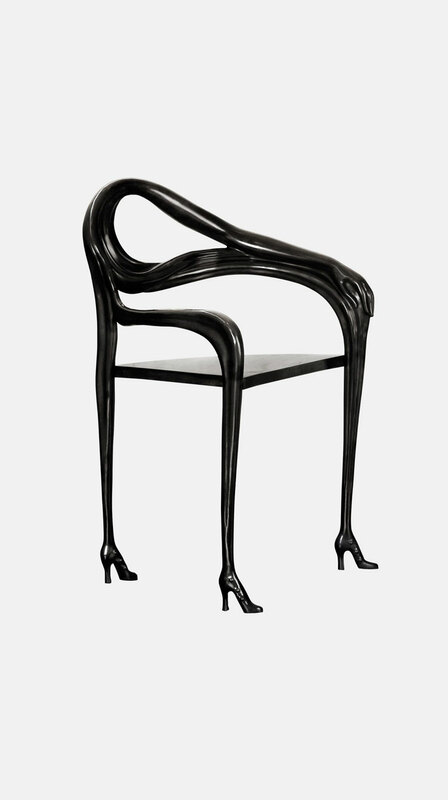 The sitter is embraced by the curved arm that creates the back of the chair, as the trio of deceptively willowy legs, cast in solid brass, offer support to the seat. 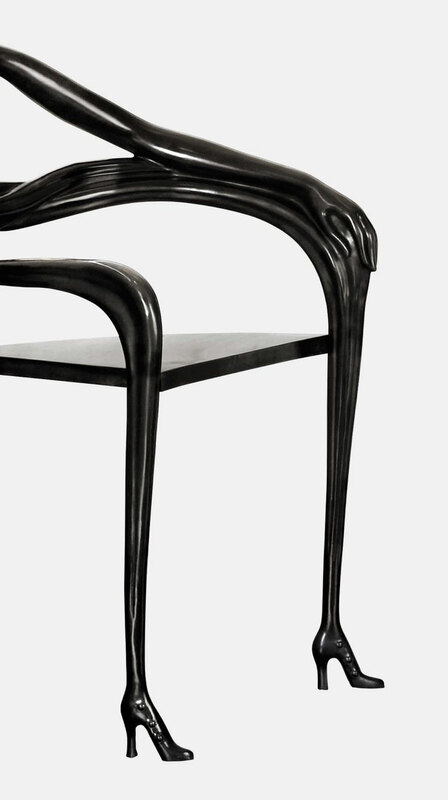 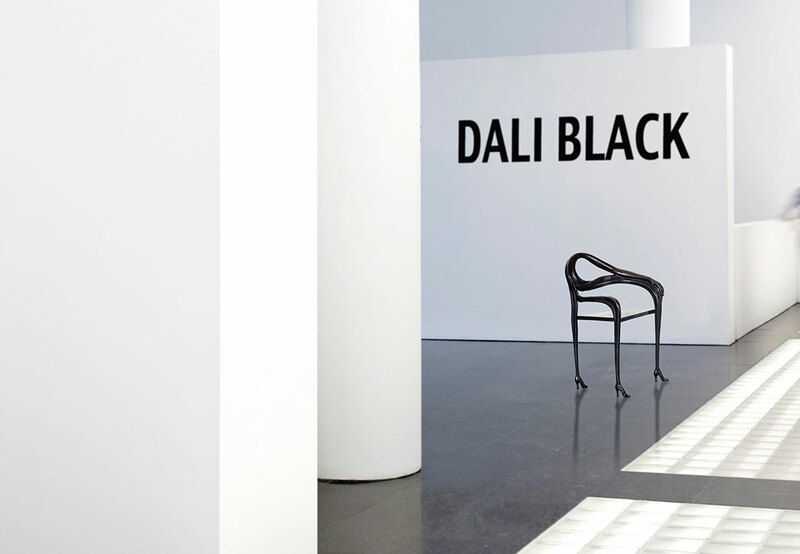 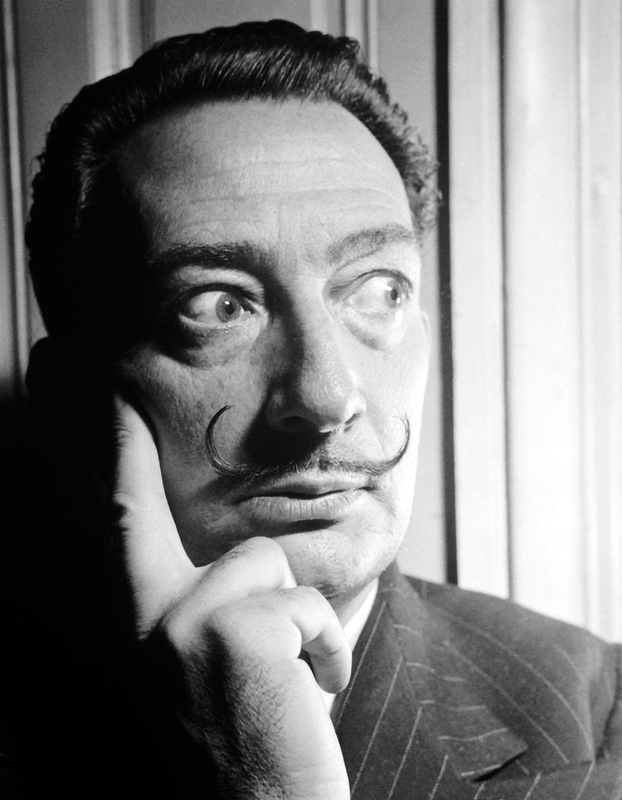 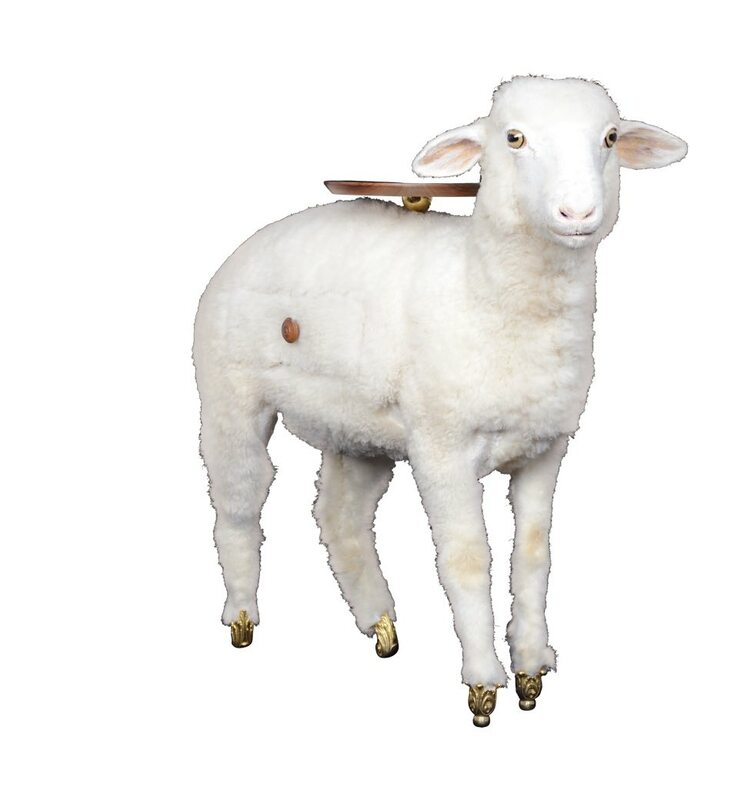 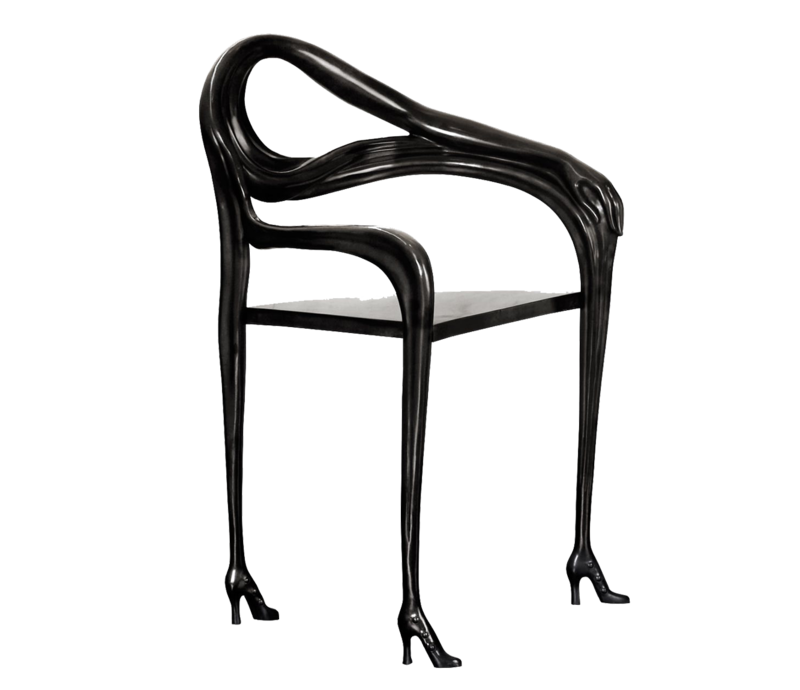 The chair however resonates Dali’s words to “sit uncomfortably” so like a model composed for an artist, the Leda chair is made for admiration rather than purpose. 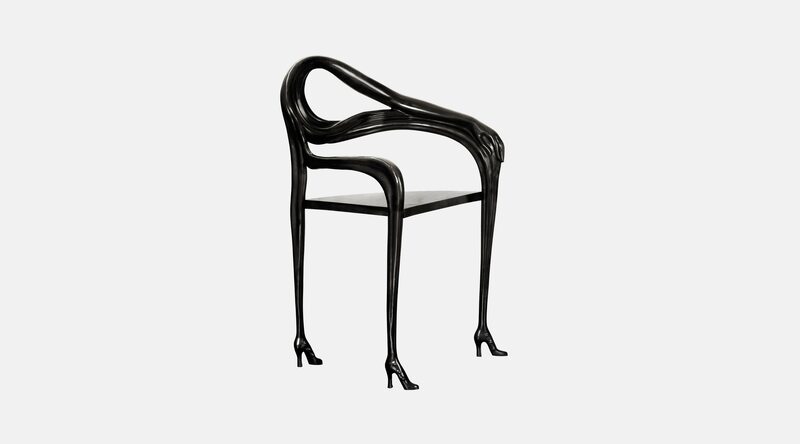 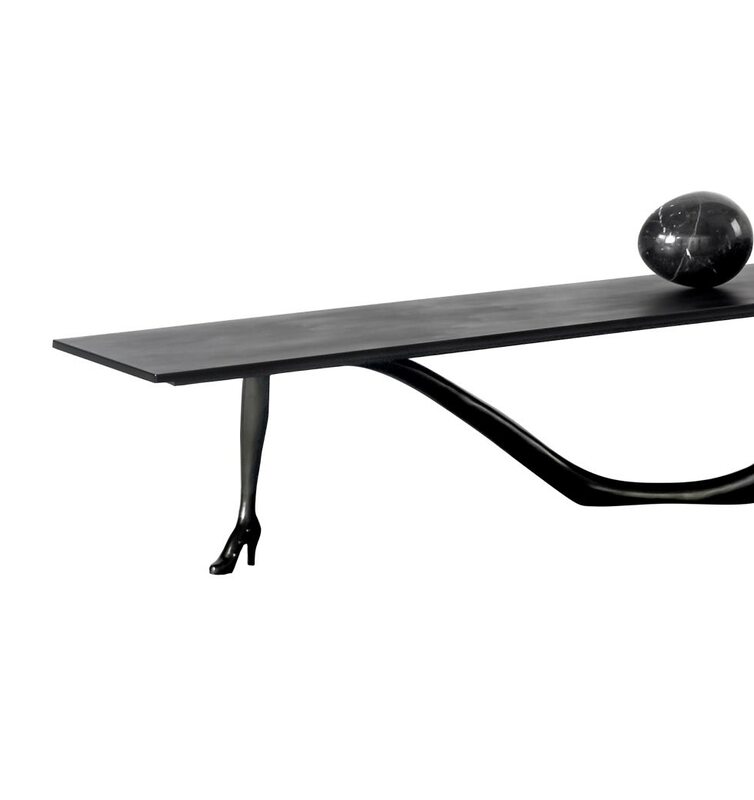 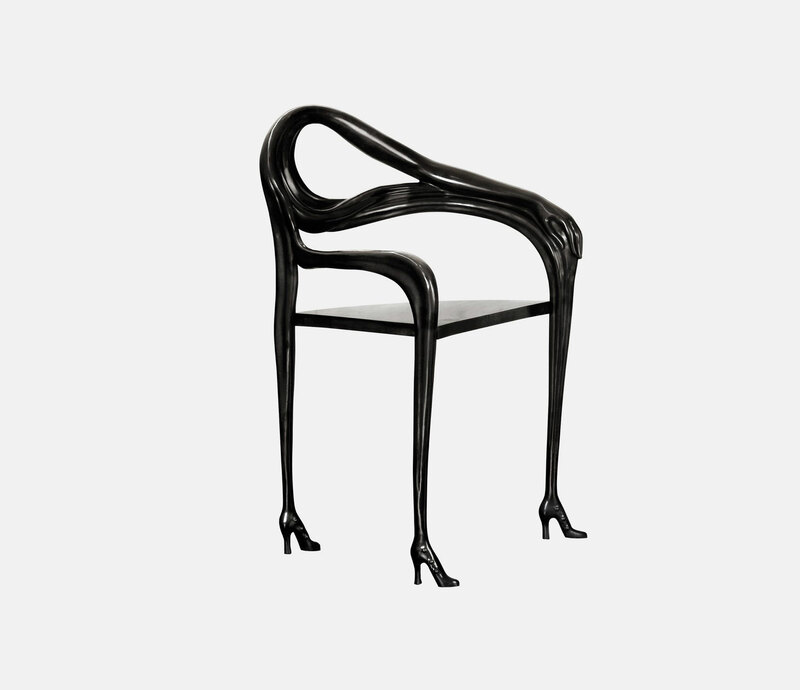 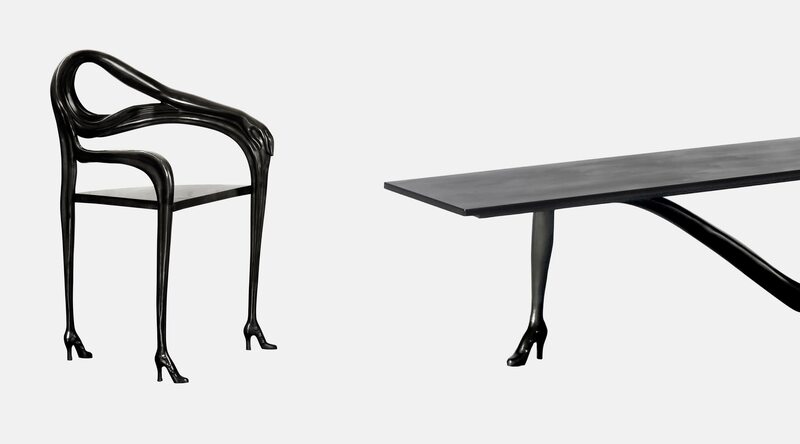 Quintessentially Dali, the Leda black chair offers the ultimate in perfect impracticality. 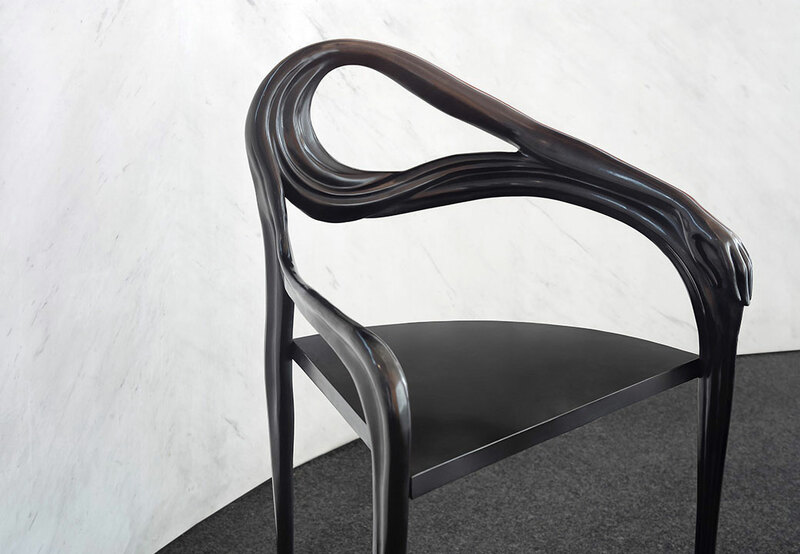 Structure in polished cast brass varnish.